Calling all Wedding suppliers/vendors. Let me help you make your wedding couple’s extraORDINARY, by creating bespoke and high quality products. Each product is professionally created by me, using love, passion, and a variety of crafts, techniques and tools, creating that unique product. I use skills that I have collected since I was a little girl and my creative imagination. We offer the following services: – Wedding Decor for the table, chairs and venue; Wedding & Bridal accessories for Bride, Groom and Bridal & Wedding party; Wedding favors; Wedding gifting. – Gifting – a wide range of bespoke gifts. Craft Workshops – for a beginner or advanced crafter. Make your own Wedding decor and favors with family and friends. Packages available. 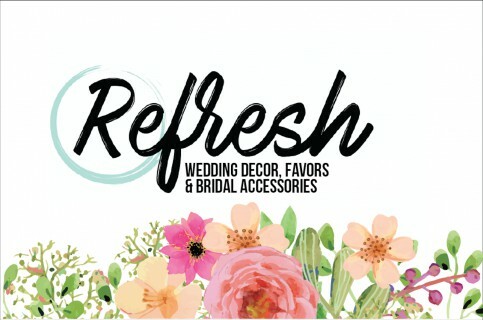 Refresh Restyle Weddings is part of our featured tribe. Awards and recognition: Distinction: Wedding Planner refresher course through Absolute Wedding Perfection.